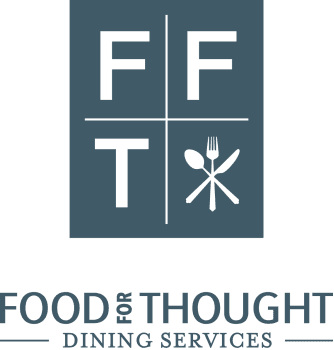 Food For Thought is Chicago's premiere event and catering organization. For over 20 plus years we have been providing the area's best cuisine and finest service. When you work with Food For Thought, Chicago's premiere catering and event concept company, you have the city's most talented professionals and culinary experts at your service. We consider every nuance of your occasion and transform ideos into unforgettable experiences. We oversee every detail from a beautifully designed decor to perfectly passed hors d'oeuvre. Envisioning and creating the perfect cuisine for your event requires extraordinary talent, even mastery. That's why we hire only the best and most talented chefs in the industry. We have won the admiration of clients and peers alike with our innovative cuisine and contemporary presentation. We are included on the preferred catering lists of many of Chicago's top venues including the Field Museum, the Chicago Cultural Center and the Chicago History Museum and we are the exclusive caterers at The Adler Planetarium.